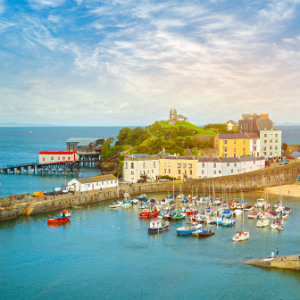 DOHA, Qatar, 2017-Sep-15 — /Travel PR News/ — Qatar Airways is pleased to announce that it will launch direct daily flights to Cardiff commencing 1 May 2018, making the award-winning airline the first Gulf carrier to service Wales and Southwest England. Cardiff is a strategically important destination for Qatar Airways as it opens up a new portion of the United Kingdom to the airline, as well as allowing more people to visit the great city of Cardiff from the Gulf and even further afield. Cardiff, the capital of Wales, is one of the most compelling tourist destinations in the UK, with countless museums and exhibitions, a thriving music scene and world-class sporting events regularly on show at the Principality Stadium. Cardiff Airport Chief Executive Officer Deb Barber, said: “I am immensely proud that world-class airline Qatar Airways has recognised the potential that exists within the region and chosen Cardiff Airport to operate a daily service. The service opens up a world of connectivity for our customers to destinations across Australia, New Zealand, Africa and Asia. The route was first announced earlier this year and is a transformative one for Cardiff Airport, as it will open up the Gulf region for passengers from South Wales and Southwest England for the first time. Travellers to and from Australia and Southeast Asia are also set to benefit from the daily long-haul flights via Doha. Onboard the Qatar Airways Boeing 787 Dreamliner, lower altitude-equivalent pressure, improved air-quality and optimal humidity coupled with large, electronically dimmable windows create dramatic vistas and provide passengers with extra natural light. Full-spectrum LED lighting will help them adjust to changing time zones, allowing passengers to arrive at their destination feeling refreshed. Cardiff is one of 26 new routes announced by Qatar Airways planned for the remainder of this year and 2018, including Chiang Mai, Thailand; Canberra, Australia and San Francisco, US, to name a few. The airline connects travellers to more cities in Europe than ever before, with recent launches to Kyiv, Prague, Skopje and Dublin, to name just a few. Qatar Airways currently serves London Heathrow, Manchester, Birmingham and Edinburgh, with Cardiff to be the airline’s fifth destination in the UK. Qatar Airways was awarded a number of major accolades this year, including Airline of the Year at the prestigious 2017 Skytrax World Airline Awards, held at the Paris Air Show in June. This is the fourth time that Qatar Airways has been given this global recognition. As well as being voted Best Airline by travellers from around the world, Qatar’s national flag carrier also won a raft of other major awards at the ceremony, including Best Airline in the Middle East, World’s Best Business Class and World’s Best First Class Airline Lounge. This entry was posted in Airlines, Airports, Flights, Travel, Travel Services and tagged His Excellency Mr. Akbar Al Baker, Qatar Airways. Bookmark the permalink.